Yet another bit of meeting reportage, in today’s post. A humble narrator seems to be on a lot of “steering committees” these days. I’ve long been associated with Newtown Creek Alliance, although we don’t have a steering committee, and contrary to what many believe – I’m not a board member. I’m the official photographer for, and steering committee member of the Working Harbor Committee. Recently, I joined the steering committee of Access Queens. I’m also a steering committee member of the Newtown Creek CAG (Community Advisory Group) for the Federal Superfund situation on Newtown Creek. The CAG has a series of steering committee only meetings that occur somewhat frequently, where we review and comment on various bits of policy and announcements from the EPA and the Potentially Responsible Parties who are tasked with the scientific analysis and eventual cleanup of Newtown Creek. There’s business people, community activists, policy makers, and representatives from Riverkeeper on the Steering Committee. There’s also a gaggle of Newtown Creek Alliance people on there as well, but given our overwhelming familiarity with the situation that’s sort of a natural fit. A “general” CAG meeting occurs less frequently, but that’s going to change as we get closer to the next phase of the Superfund process, which will discuss the solution to 150 years of environmental degradation based on a nearly decade long scientific survey. General meetings are open to the public if you’re curious, click the link above to find out when the next one is scheduled. If you want to join the CAG, we have a technical advisor who can guide you through the process (which is mainly writing down your name and email in a legible manner). A recent Community Advisory Group meeting, which was open to the full membership of the CAG (not just the steering committee) occurred at LaGuardia Community College last month on the 22nd of March. 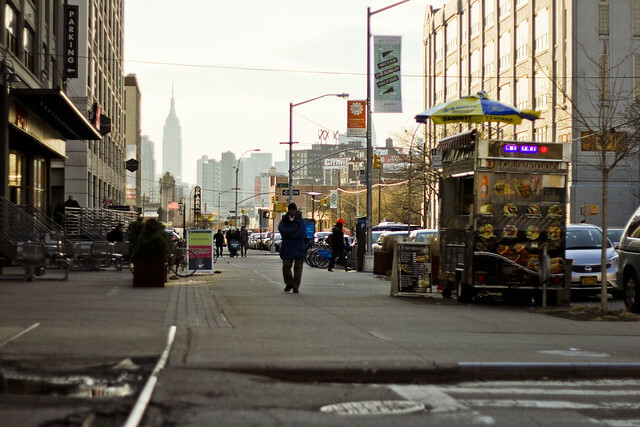 Greenpoint’s Mike Schade, who has been operating as the Co Chair of the CAG, stepped down and we voted my colleague from NCA – Will Elkins – to pick up the mantle as co chair and run with it. The other CAG co chair is Ryan Kuonen, who is chair of Greenpoint’s community board’s environmental committee. The NYC DEP, which is one of the “potentially responsible parties” along with ExxonMobil, National Grid, Phelps Dodge, and a couple of smaller corporate players like BP and Amoco, offered a presentation to the assembly explaining the concept of “ebulition” to us. Ebulition is essentially the release of droplets or blobs of contaminants from the sediment bed up to the surface of the water, and it’s commonly observed in Newtown Creek. They showed some video of coal tar bubbling up in front of the National Grid bulkheads, which was meant to be an “a ha” moment. To the initiated, however, it’s no secret that there’s 30-40 feet of coal tar and petroleum derivates in the sediments. That’s what brought EPA to Newtown Creek in the first place. Problem is that the ugly leave behinds of industry are intermingled with human waste, which is what the DEP supplies. Prepared by their environmental contractor, Louis Berger, the logic DEP offers in their ebultion argument is that since they aren’t responsible for the presence of petroleum or coal tar in the Creek, and that since the chemical footprint of what comes out of their “combined sewer outfalls” or “CSO’s” isn’t specifically named in the Federal CERCLA – or Superfund – legislation – the community shouldn’t be overly concerned by the raw sewage they pump into the waterway every time it rains. The presentation was offered by Dr. Eileen Mahoney, who is DEP’s Superfund manager, and Dr. Ed Garvey of Louis Berger. Dr. Mahoney and I, it should be mentioned, aren’t exactly in love with each other and she spent most of her time menacingly glaring at me while speaking, waiting for me to speak up and challenge her assertions. She didn’t realize that my colleague Laura Hoffman was in the room, and the “Mother of Greenpoint” didn’t take kindly to DEP saying that the release of raw sewage into Newtown Creek isn’t a problem. The Newtown Creek community advisory group is actually one of the best organizations to pay attention to at the moment, superfund wise. Everybody in the room is under some sort of Federal level jurisdiction, PRP wise, and therefore the fibbing is generally kept to a minimum. Even the DEP won’t out and out lie to the Feds, as there would be hell to pay. Another thing I’ve been saying for years about the Superfund is that the most interesting parts of the story will be about NYC’s vertical silos of power slamming into the Feds. Immovable object, meet the irresistible force. I managed to convince some of my friends from LIC and Sunnyside to come to the meeting, and get the activist community of Newtown Creek’s northern shore to begin to engage in the process by joining the CAG. There’s a perception in Queens that Newtown Creek is Brooklyn’s, and particularly Greenpoint’s, problem. I’ve long argued that this is most definitely not the case, and I’m glad to see that others are beginning to realize it too. 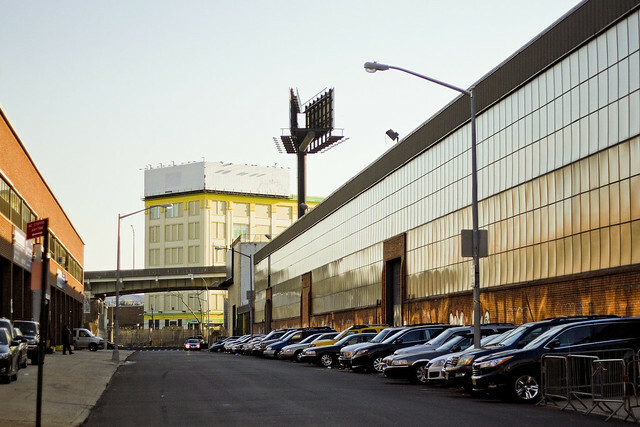 “Creek to Creek Industrial Greenpoint Walking Tour” with Mitch Waxman and Geoff Cobb. 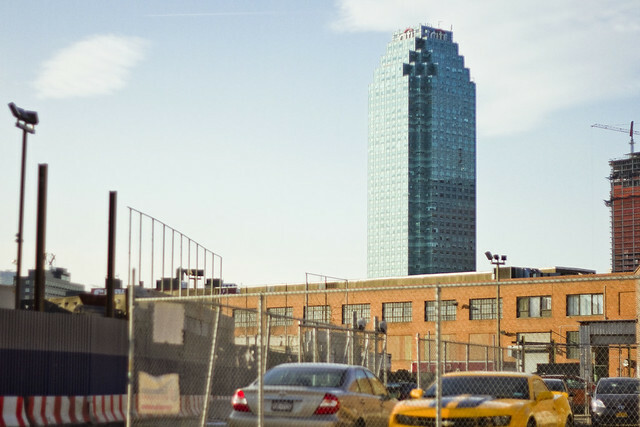 Join Newtown Creek Alliance historian Mitch Waxman and Greenpoint historian and author Geoff Cobb for a three-hour exploration of the coastline of Greenpoint. Click here for more info and ticketing. Does the “single-shoe” phemomenon ever present itself at these committee meetings? Just curious.